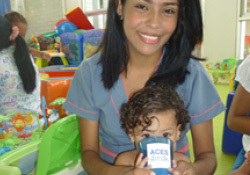 Welcome to ace4milk, a foundation that helps children in Latin America expand their opportunities starting with the most basic and important necessity, nutrition. To be an ACE, you must stand for the belief that every child has the ability to achieve. United, we can offer children the fundamentals needed for the start of their new journey called life. Nutrition is the key for a healthy body, healthy mind, and from there anything is possible. 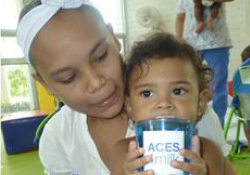 ace4milk supports 3 institutions in Colombia, helping more than 800 kids, through Give to Colombia. You have the power to become an ACE and help more kids grow healthier. It’s easy, just find the right amount and donate. This is just the beginning and we will need lots of hands, let us know how you can contribute to this idea. We live in a world where everything is possible with the right energy. Help us invite more ACES through our social media. Created in Bogotá, a single home serves 55 children suffering from chronic or terminal illness. Unfortunately, the children live everyday with the reality that they have been abandoned by their families. Created in Cartagena to support children who face health problems and teenage mothers. Their conditions aremarginalized in the development of their community. Created in Popayan, dedicated to the care of vulnerable children under age and poor. Currently serving over 60homeless households with children that have economic and social difficulties. 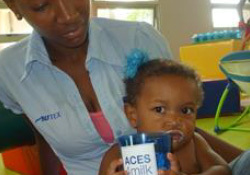 ACE4MILK STARTED IN 2013. THESE ARE SOME OF OUR FIRST STEPS.